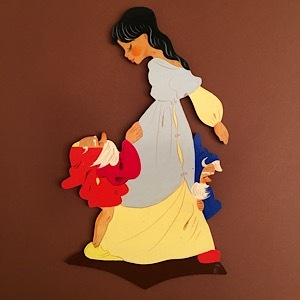 There are two versions of this Snow White, one with light blue tunic and one with light pink tunic. Both are hand-painted on wood, with varnsih, not too rare. I love both color schemes and the soft, fluid fall of dress and tunic. This entry was posted in ----Top 300----, -Ravi, +Schneewittchen.